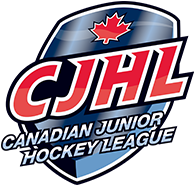 The Penticton Vees Jr. ‘A’ Hockey Club is pleased to announce forward Tyson Jost (98) has been named the team’s Captain and defenseman Dante Fabbro (98) has been named an Assistant Captain for the 2015-16 season. President, General Manager and Head Coach Fred Harbinson says it was an easy decision picking the leadership group, “As we evaluated our past season it became very evident who would lead our team for 2015-16. Tyson and Dante both have the attributes and demeanor that we require out of our Captains. Their consistent work ethic, desire to learn and overall professional approach both on and off the ice is what has created a respect from their teammates, which will make Tyson the natural choice to wear the "C" and Dante one of our "A." “As a coach it has been said that the most critical minutes in your work week is the few moments after you address your team and leave the room; it is at this point where you need your captains to reinforce that message, I believe Tyson has the strength and vision to lead our group." Despite is age, Jost has shown that he can be a leader and the 17-year-old did just that last season. Jost had a terrific season up front for the Vees finishing fourth in team scoring in the regular season, as he averaged nearly a point per-game as a 16-year-old, with 23 goals and 45 points in 46 games; his 23 goals were tied for the team lead. Jost didn’t shy away from the spotlight in the playoffs, scoring a team-best 10 goals in 21 BCHL playoff games, en route to the Vees Fred Page Cup Championship win over Nanaimo. He turned heads at the Western Canada Cup (WCC), compiling five goals and six points as the Vees won their first ever WCC Championship in franchise history. Jost was also named the tournament’s Top Forward and Top Scorer. He shined on the national stage as well, picking up three goals and four points at the 2015 RBC Cup in Portage la Prairie, Manitoba. Fabbro, like Jost, relished playing in a key role for the Vees despite being their youngest defenseman on the blue-line. The 16-year-old was the third-highest scoring defensemen on the Vees roster this year, compiling 33 points in just 44 games; international duty had him miss 12 games. 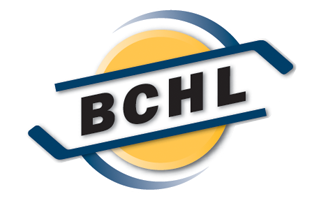 Despite his young age, Fabbro excelled in the BCHL post-season, as he was the highest-scoring Vees defenseman, notching four goals and 15 points in 21 playoff games. The bigger the stage, the better Fabbro played, as the blue-liner had a pair of goals and three points in five games at the WCC, and another three assists in five more games at the RBC Cup. Fabbro played a key role on the Vees blue-line in the post-season and his performance at the RBC Cup led to him being named the tournament’s Top Defenseman. The Vees will name another Assistant Captain after the team’s Main Camp in Penticton in late August, and will look to their 20-year-olds as part of their overall leadership group.